NEW YORK (Dec. 16, 2011) — Saving wilderness, fighting fracking, protecting Israel’s 99 percent from the world's 1 percent — what a decade it’s been! This month marks the end of the 10th anniversary of the Green Zionist Alliance. Back before Israel’s Tent Cities and Occupy Wall Street, the Green Zionist Alliance began 2011 by becoming part of a successful effort to change the equation of what percentage of natural-resource profits goes to companies and what percentage goes to the Israeli public, who collectively own the resources. Fighting against some of the largest oil and gas companies in the world, the Green Zionist Alliance and its allies pushed a new law through Knesset that will put billions of dollars into education, healthcare and environmental protection — money that, without our intervention, simply would have gone to multinational corporations. We followed that up with another David-versus-Goliath fight: Stopping hydrofracking in the Elah Valley, the historical battlefield of the original David and Goliath. We convened a Keren Kayemet L’Yisrael / Jewish National Fund (KKL-JNF) committee to investigate the potential impact of hydrofracking in Israel. The committee’s 34-page report, which has since become the official policy of KKL-JNF, called for a dozen research questions to be answered through laboratory work before fracking should be allowed in Israel. In the meantime, the issue of fracking is on the docket of the Israeli Supreme Court and it’s anticipated that the GZA’s KKL-JNF report will weigh heavily on the court. We also helped launch a new grassroots network, Jews Against Hydrofracking, so that we could fight fracking in America as well as in Israel. Just a few weeks ago, the Green Zionist Alliance’s representatives on the board of KKL-JNF intervened in KKL-JNF’s eviction proceedings of a Palestinian family from their Jerusalem home. We were successful in getting a delay of the eviction; we’ll keep working on protecting them and other disenfranchised voices. This follows our efforts to prevent a Bedouin village from being razed so a forest could be planted in its stead. If you read the minutes of the KKL-JNF board meeting that discussed the Bedouin, as published in Haaretz, you’ll see that the GZA representatives — Dr. Alon Tal and Dr. Orr Karassin — are the board’s only voices of reason on this issue. And in May we launched a campaign to save the Samar sand dunes from destruction. A unique ecosystem of endangered species located in Israel’s Arava Valley, the remaining dunes of Samar were scheduled to be razed in October. Thanks to the efforts of the Green Zionist Alliance and our partner organizations in Israel, the dunes have been granted a temporary reprieve and they are still standing today. 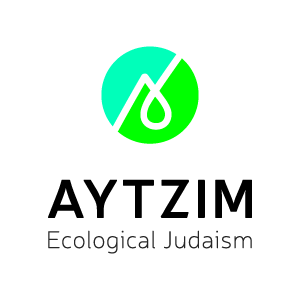 Over the past 11 years, the Green Zionist Alliance has passed a multitude of laws at the World Zionist Congress, mandating the development of community gardens at immigrant-housing centers; support for sustainable, organic and local agriculture; and installation of photovoltaic solar panels and rainwater-savings systems. We also quadrupled funding for afforestation in Israel, developed environmental programs for Rwandan villages and declared new nature reserves in Israel. The Trans-Israel Bike Trail and the Kinneret Circumference Trail were built because of our work, and every year new bike trails are built and expanded in Israel because of the Green Zionist Alliance. At the same time, we’ve held educational programs and conferences coast to coast across North America. But the GZA is only able to green Israel with your support. Think of the Green Zionist Alliance as your way of changing Israeli environmental policy. As individuals, none of us may be able to have much impact; but joining together as an alliance, we become a force of nature. And the more support that you can provide, the stronger our collective force will become. We have accomplished a lot in our first decade, but we still have a lot more to do. Please make your tax-deductible donation to the Green Zionist Alliance and help green Israel today. "In order to serve God, one needs access to the enjoyment of the beauties of nature - meadows full of flowers, majestic mountains, flowing rivers - for all these are essential to the spiritual development of even the holiest of people." JNF's Blueprint Negev plan calls for developing in the Negev desert 25 new communities with a total population of 500,000.